This solid 2-family structure is currently set up as a day spa on the first floor and a very nice 1 bedroom apartment on the second. You could convert the entire first floor to a large apartment or create an apartment in the back and commercial rental space in the front. The welcoming entrance has beautiful woodwork and the interior is tastefully done. It currently has a large sitting and reception area with tile floors and 4 separate rooms that each have sinks and cabinet/countertop space. There is also a large laundry area with sink and a 1/2 bath. The bonus is the enclosed outside sitting areas that is nicely done with bluestone patio, hot tub, and access to a full bath. 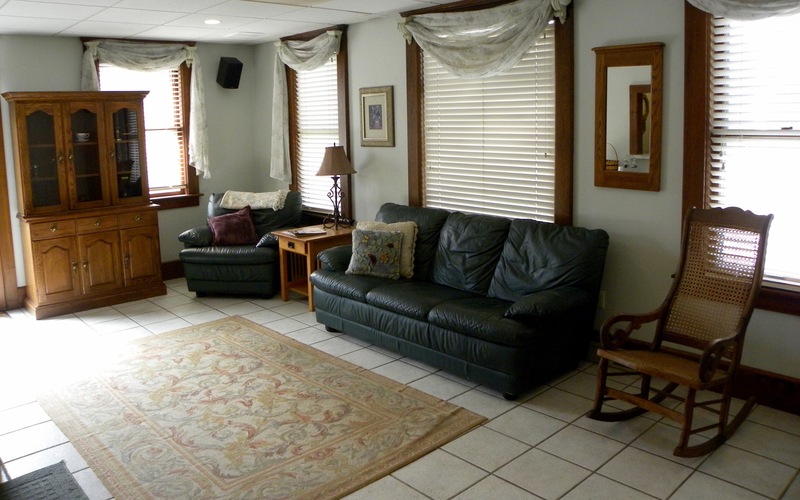 There are separate utilities, it is handicap assessable on the first floor and there is plenty of parking. Call today for more information and set up a showing appointment.